Magnitude has a vast amount of experience looking after the car finance needs of sports people and those who work in the media. Professionals from the world of sport, media & entertainment often have unique needs and challenges when it comes to car finance, and we have 30 years of experience working to help to deliver on those requirements. Working with individuals and organisations from the worlds of football, rugby, golf, tennis, motorsport, film, music, media and now YouTube we are able to advise on the best car finance products and borrowing strategies for people working in these sectors. Magnitude look after players & participants at all levels of professional sport, from the international stage to the premierships and beyond. We work with athletes, players, clubs, liaison officers and welfare professionals as well as their car suppliers to ensure players get the appropriate advice for their individual circumstances. We deal with many clients from the media and entertainment industry – historically with those working in TV, radio & film production but more recently with reality TV celebrities, social media influencers and YouTubers. Magnitude are proud to have advised and served so many of the UK’s automotive lifestyle YouTubers, as well as from the worlds of Beauty & Fashion, Gaming, Sport, Travel & Events & Family Entertainment. If you need advice, however big (or small) your channel is, please get in touch. Finance strategies for sports professionals with Tim Marlow. 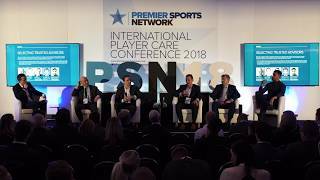 Tim Marlow of Magnitude Finance talking at the PSN International Player Care conference about best practice car finance strategies for sports professionals. Our team at Magnitude Finance have decades of experience looking after the needs of prestige and performance car buyers. Find out more about us. Magnitude Finance are part of DSG Financial Services Ltd.
Want to speak to us before you go ahead? One of our expert team will call you straight back and talk you through the application process. we’ll then submit an application to the lender of your choice on your behalf. What could be easier? Our unique concierge service provides our customers with a complete end to end service to facilitate the purchase of your next prestige vehicle. We know that as successful people, our customers’ time is incredibly valuable, so we work on behalf of our client base to take the stress and time out of securing the best possible finance package for the purchase of prestige vehicles. You find the car, we’ll find the finance.